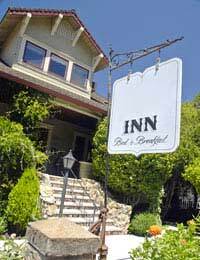 Maintaining your position in the market is important for a bed and breakfast and requires constant vigilance. There are a number of areas of activity, one being to keep an eye on the competition, both new and established, which is covered in a separate article in this section. To be constantly improving to keep quality and standards high is another way of maintaining your position. Again, there's a lot of information in our article on this subject, but there is another initiative that can be taken to help maintain market position. You might consider asking friends or relatives to stay in your B&B in the low season and test everything in the rooms and the communal areas to make sure it's all as good as you think it is. This can help to uncover more subtle but still irritating little problems. For example if you clean a shower every day then it will be spick and span whenever someone uses it. But it's only by standing in it and using it that you discover that perhaps the soap tray catches you on the elbow, or the door sprays water out on to the floor when you open it, creating a slippery hazard. You might decide that things like this are too expensive to fix until the room needs refurbishment but at least you now know about them and can make an informed decision. If you don’t fancy asking friends or relatives to do this then perhaps you can do it. Try using one of your own guest suites when you have no customers using it and it will give you a new perspective on the quality of the room. Another area to constantly check on is the advertising you are putting out, from the B&B signs outside your property to attract passing trade to the brochures and adverts that you're putting in tourist locations, print media and online. It's important to establish a brand and a recognisable logo or style of writing for your bed and breakfast and use them on everything, even headed paper. Then you can refresh and change the colours or images that you are using on a regular basis, as people are more likely to look at something new, but retain the common logo and style so that the brand identity is reinforced. You would be amazed at the poor impression that is given if all of this collateral isn't maintained and consistent, it simply looks unprofessional if you are using different fonts and logos in different places. This might all sound a bit too 'corporate' for a B&B but there's a reason why companies pay attention to this sort of thing and it’s because it all helps to maintain that all important market position. And while you're repainting the sign outside, take a critical look at the kerb appeal of your B&B. Passing trade won't become paying guests unless you maintain the borders and driveways and have enough parking. Remember that most of the everyday management of any business effectively means recording what's happening and then reviewing it to see if you have maintained standards, improved them or made things worse. Keep doing this within your business and with your external image and your market position should be maintained. Above all, treat customers with courtesy and respect, but without being obsequious and the good word will continue to spread. This will be the most powerful tool for maintaining the market position of your bed and breakfast.